Although this event was on last weekend I have only just managed to extract the images from my iPhone, which was giving me a few issues – love technology. Anyway the day was great with full credit to the Bayonet Military Modelling Club and of course the hosting group who are restoring the amazing B24 Liberator. The event itself is setup inside the restoration hanger with the B24 as the back drop, which really adds the the atmosphere. The Swap & Sell is probably one of the best aside from the Model Expo and you can always find some great bargains, not to mention that there are plenty of traders so the available kits is huge. 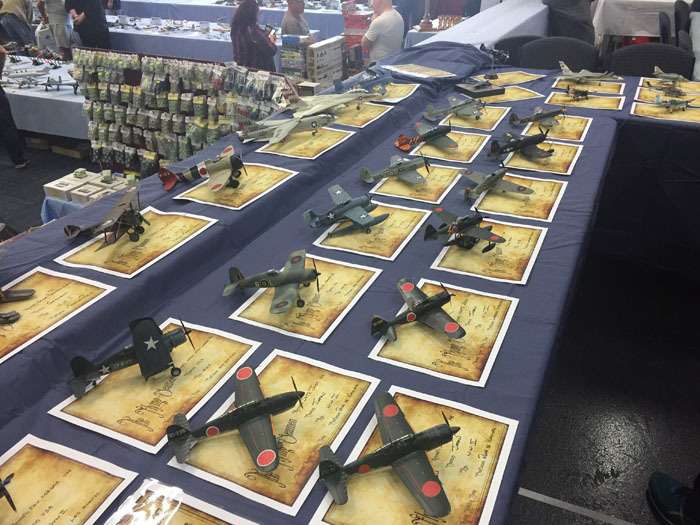 We ran a club display which included aircraft and some armour which attracted much attention and comments from the public and competitors alike. Here are some pics of the day so look forward to next year!